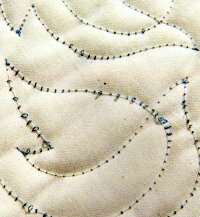 Quilting stitches that suddenly go haywire are generally simple to correct. Quilting basics teaches the fool proof TNT rule to help unravel beginner quilting mysteries. When tension problems have you in knots, take a break and examine the erratic stitches. You will quickly recognize the fault of the problems once we share the TNT rule. For a beginner quilter that wants to learn how to make a quilt the TNT rule is good advice. Let's explore why! Examine your quilting stitches on both the front as well as the back of your quilting blocks to analyze what the problem may be. 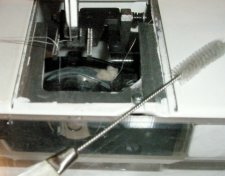 Remember, when a very dependable piece of equipment suddenly starts to act up, chances are you have done something wrong rather than the sewing machine tension misfiring. There is a rule worth remembering when working with a sewing machine. TNT = Thread, Needle, and Tension in that exact order. 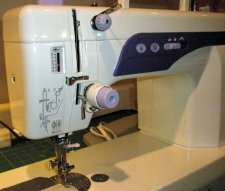 If you are having problems achieving a balanced tension on your home sewing machine try these steps in the exact order as listed here. THREAD: completely re-thread the machine. NEEDLE: replace the needle to assure it is free of burrs and to make sure it is nice and straight. TENSION: adjust the needle tension...rarely do you need to adjust the bobbin tension. Once a year ask your service man to balance the bobbin tension when you take the machine in for it's annual cleaning. Jammed threads are generally aleviated by having a supply of needles on hand in order to change often. Make sure you are using the right kind of quilting threads for the correct needle and thread combination. Use a lint brush to keep the bobbin area clear of lint and keep a supply of machine oil on hand for keeping a well oiled quilting sewing machine. The older the machine, the more often it needs oil. The newer machines only need a few drops of oil in the shuttle race. 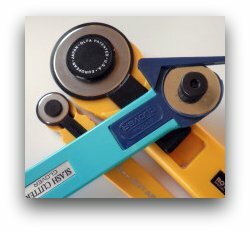 Having the right quilting tools most of the time is all that is needed to keep your machine running perfectly. 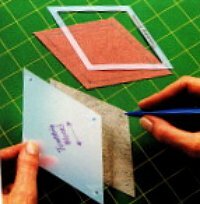 For a cost effective way to store the number one quilting tool take a look at some Quilting Tips we find very helpful...it is nothing more than an empty cookie tray. If necessary, check to make sure the needle tension was not moved to a lower than normal setting. If so, try tightening the upper thread tension. Here is how! Match the thread type with the proper needle size and then set the top tension accordingly. We have two charts for you to clip and save; both charts can be found on our quilting threads page. The top tension is the easiest to adjust. Start by adjusting in small steps, but first make a note of the original setting, then remember the slogan you learned as a kid. Actually I never learned it; my granddaughter taught me. Remember: Righty, tighty; lefty, loosey! So, the lower the number, the looser the tension and that is what we are dealing with in our image that shows loose quilting stitches; a loose top thread that pulls down to the under side. 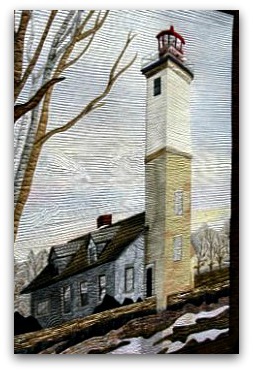 After every slight turn of the dial, stitch on a practice sandwich that is exactly what your original project is. In other words, a scrap piece of the top fabric, the batting, and a piece of the backing. Second: remove the needle and check to make sure you have inserted the flat side properly. Most of us have more than one machine so we could have a temporary mind block as to which one we are using at the moment. Third: After checking everything else and you have eliminated potential oversights, then adjust the tension. Adjusting the bottom tension is a little harder to do. It is generally set at the factory for regular sewing thread and shouldn't need adjustment. The tension on the bobbin case is controlled by a small screw and a curved metal band, called the spring that wraps around the bobbin case. Turn the screw that is located next to the thread opening. Remember: Righty, tighty; lefty, loosey! Neither of these parts has any markings on them therefore if you move the screw without knowing what you are doing it may be difficult to reinstate to the original position. This adjustment may require a little confidence or you can just leave it for the repair man. There is one other thing you can check. Hold the tail end of the thread from a full bobbin, place your other hand under the bobbin to catch it in case it falls and then gently jiggle the thread. If the bobbin drops quickly, the tension screw is loose. Tighten it. Remember: Righty, tighty; lefty, loosey! and test again. Another way to check the bobbin tension is to thread the machine, except for the needle; load the bobbin; lower the presser foot; then tug on both threads simultaneous. They should be even. 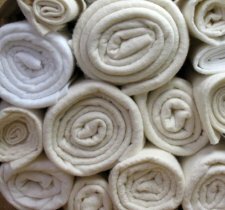 In your journey on how to make a quilt you will find that most tension problems are not caused by the tension being out of whack! Surprisingly, your problem will originate with threading or with the needle. The TNT rule is good advice for checking the most common problems: Thread, Needle, Tension! If the top thread does not flow freely check to make sure the thread is pulling off the spool correctly. The solution may be to use an alternative spool pin which will allow the spool to spin easily. Tension problems are frequently caused by the top thread not feeding freely. There are many ways for the thread to catch on the quilt itself behind the machine. 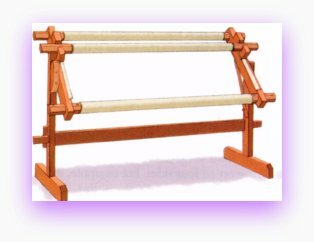 Perhaps it catches on the top edge of the spool and prohibits the natural spinning movement. Or the spool may not fit the spool pin. 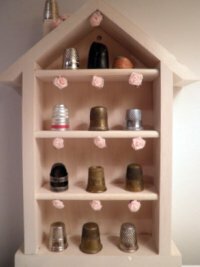 In any event, there are alternative spool stands that are free-standing and are designed for large cone threads. It is important for the thread to come off the spool not too fast and not too slow; just a nice even natural spinning movement. For machines that have horizontal thread pins, an upright spool pin adapter may allow you to use a larger variety of threads including those wrapped on cones or cores. 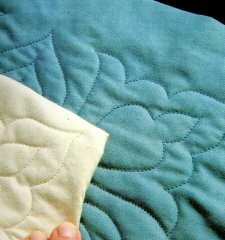 Erratic quilting stitches can be caused by lint in the bobbin case area. Using the small spiral brush that came with your machine, clean the bobbin case area thoroughly. The area can fill with lint and become clogged. The small spiral brush that came with the machine can be used to attract lint in the bobbin area. Instead of disassembling the bobbin casing I first, very gently, use my well oiled brush to pick up all the visible lint in the bobbin. The brush is flexible and reaches most of the areas. The lint clings to the brush spirals. You will be absolutely amazed at the amount of lint your spiral brush picks up. Using the spiral brush is a gentle process as you run the risk of forcing the lint deeper into the casing which will result in you disassembling and cleaning the area real good. The tweezers that came with your machine is also a useful tool to pick up lint balls. Canned air can be used provided you use it lightly. To avoid condensation make sure the bobbin casing area is dry before closing it back up. The manufacture of my machine does not recommend canned air for removing lint from the bobbin case. Therefore, I limit the use; but I do use it occasionally. 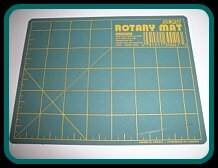 It is great for other uses in and around your sewing room. 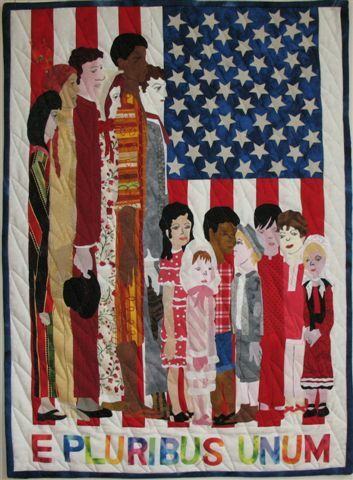 The perfectly formed quilting stitches are characterized by smooth stitches on both sides of the quilt. Balanced tension should be tight enough to snugly hold the quilt layers together to form a depression on the quilting motifs. It is this depression that makes any quilting stitch beautiful. Sometimes it is not tension at all. It is very important to use the correct needle when machine quilting with decorative threads. Because your choice of thread type is driven by color to match the materials used in the quilt top you are now faced with selecting the best needle that will be compatable with the selected type of thread. This is like asking which came first, the chicken or the egg! Refer to the above chart to help select the needle type and tension setting for your particular decorative thread which was chosen for color and effect. 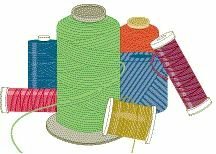 No matter what thread is used on top or what needle that is compatible with the thread choice, 100 percent cotton thread is used in the bobbin. Cotton is trouble-free thread that ties off easily, doesn't fray, and has almost no stretch. It is the best choice to use with other temperamental troublesome threads. Use a 30 weight heavier thread if you want the stitching to show up more. Remember with threads, the lower the number the heavier the weight (30 is heavier than 50). If you want your quilting stitches to blend in more use 50 weight threads.